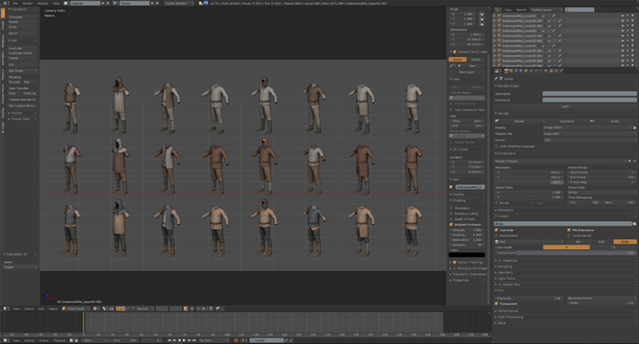 Post news Report RSS	Renaissance, kitbashing and RAM saving - or how do we create our character models? The question which social groups and employees will appear in our game was one of the first we asked ourselves. Searching for the right answer was a tedious and long process, but when the answer was finally given, our 2D artist could start working in full force. 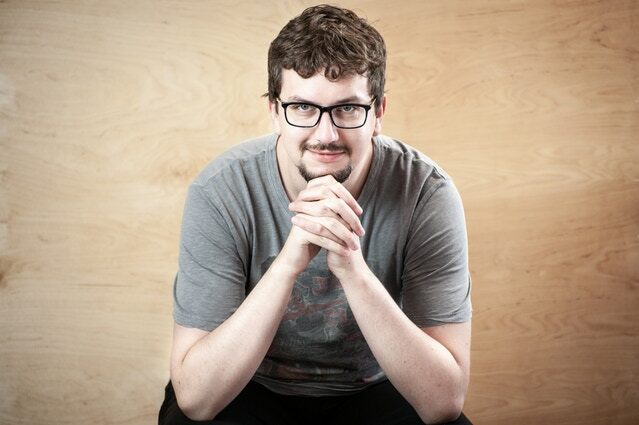 Jakub Balewicz: The first step is to find an initial idea for the character. Within our team, we talk and wonder what role does a new character play? In case of universal characters, customers or employees, the most important stage of my work was the development of their outfits. Here, the first stage is to find references for them. Our game is set in the fantastic world of Delcrys, which is inspired by the Middle Ages and Renaissance. In order to give the characters a credible and consistent appearance, it was necessary to collect information about life in those times, how were the people dressing up and how it looked like in different cultures. The effects of this work led to the creation of the first notes, ideas and small sketches - mainly presenting patterns and shapes. Only after gathering all this information it was possible to create the initial sketches. 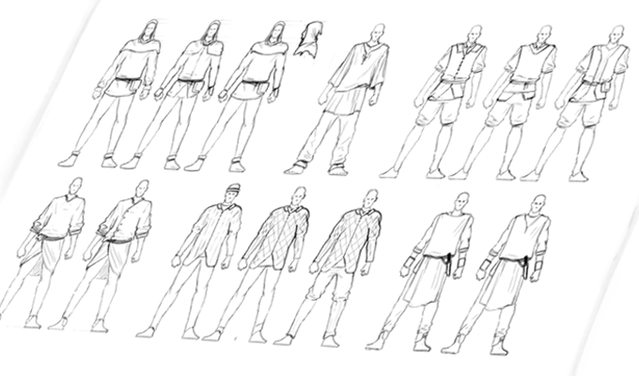 First, simple, quick drawings presenting a general outline of the outfits. Jakub Balewicz: Inspired by the facts and images we found, we were seeking clothes that would fit into our world and reflect the spirit of a particular era. It is about patterns, materials, sewing methods and combining individual elements. Also, the available technology from a given period was a very important determinant of how different objects can function and look like. In the case of employees, the first sketches led us to the images of specific professions and 3 different levels of experience for each of them. In the case of clients, we divided the sketches into 5 separate social groups which resulted in guest classes. Today, we wanted to introduce one of the groups of employees - Kitchenstaff. In their case, the most important elements of the design were, of course, the apron and specific kitchen tools. Those we use as visual indicators of the level. The lowest one, Kitchenhand, is wearing a dirty, torn outfit, and as an apron serves for him an old piece of cloth. "Fetch", "sweep", and " stir" are his daily bread. As a requisite, we gave him a ladle. With it, he prepares the simplest dishes, most often serving as a help to more experienced cooks. The next level of Kitchenstaff are Cooks. In their case, the owner of the inn, i.e. the player, had to invest a lot of time and money in their development. That is why we assumed that he would like to be amused a little with the effect. Therefore, Cook has a new outfit and a clean apron. Here, we decided that the distinguishing item would be a knife. That’s because this character is connected to the activity of slicing and matching ingredients. In addition, Cook can already prepare much more dishes than Kitchenhand. When we move to the third and highest level of a kitchen workers we get a Chef. Here, we have a rich, tailored outfit with much better materials, which are available only in the heart of the kingdom from the best tailors. His outfit is associated with the late Renaissance. 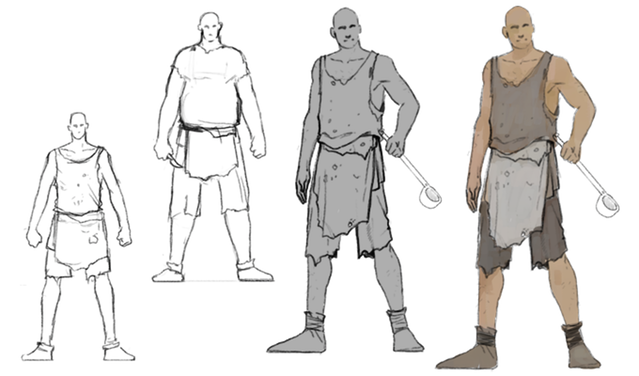 We wanted to highlight the differences between him and the previous levels, where we used simple medieval costumes. The Chef, which can only be 1 in whole tavern, has a spoon and a shiv. 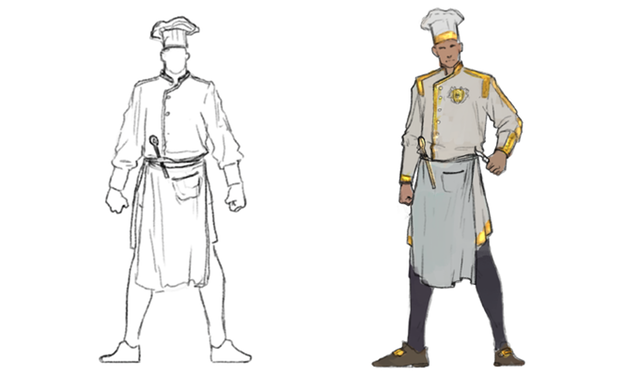 His task is mainly to control the rest of the team, try dishes and add the last accents like spices and decorations. He is a master of his trade, who has gained experience in many kitchens, in many cities. 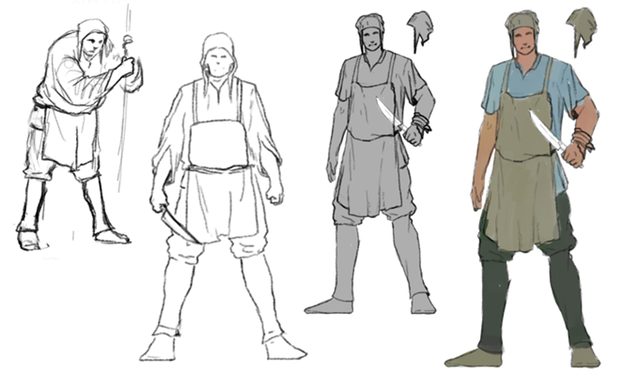 Jakub Balewicz: After consultation with the rest of the team and minor corrections, I was able to start making final drawings, in which I have already marked more details, color schemes and characteristics of individual professions. When this stage was finished, I delivered the charts with sets of refined sketches to Tomek, our 3D graphics. At Crossroads Inn, the diversity of customers and core employees must be very large, so we had to develop a system that would allow us to create a large number of combinations. The clothes that are meant to present the customer to the players are being designed separately. They translate into information from which social group and which region of the world a character comes from, and in the case of employees, who he or she is when it comes to profession and at what level. Portraits and hairstyles are also created separately. 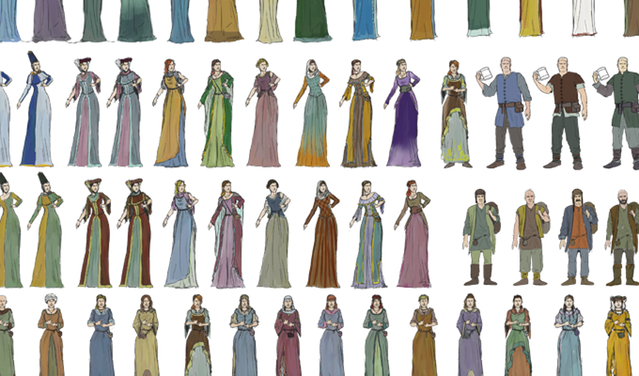 These variables together - clothes, portraits and hairstyles - create a database from which combinations are created, which give a great variety. The variety we are looking for encompasses both 2D graphics and 3D models. 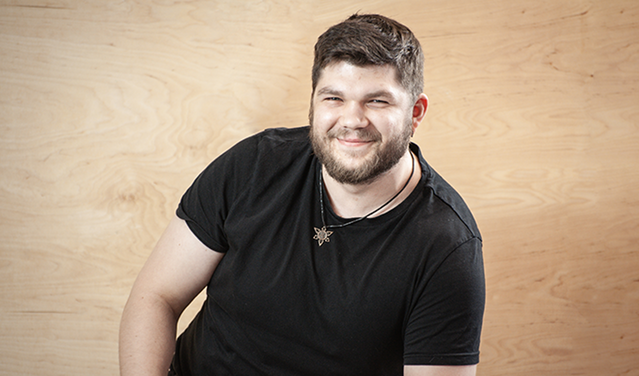 Tomasz Kuczyński: We really wanted the Crossroads Inn world to be colorful, full of life and convincing. Few things spoil the immersion of the game world just like a screen filled with the same, duplicated models of characters. We wanted to avoid this problem and give the game the greatest depth possible. Each group of guests has its own set of clothes, separate for representatives of both sexes. In such a set there are different clothes, headgear, types of trousers. Usually it varies from 6 to 12 objects. 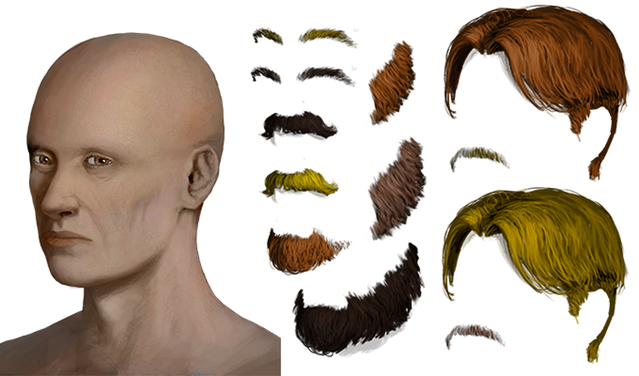 There are also different types of beards and hairstyles of characters. In the game engine there is a specially prepared script which, according to the established rules, combines everything into a ready-made character of the guest. This allows for a large variety of visitor appearance. This method of creation is called kitbashing (a term derived from Model building). This method requires some planning and observance of certain rules during production, but in a relatively short time it allows to create a diverse crowd. In addition, with this method we use techniques that save RAM and CPU load, so it has a positive impact not only on the visual aspect of the game, but also on its optimization and performance.